Yesterday I spent some time in a shopping mall sitting in a coffee shop writing; working hard to get my second draft of Riveted out on deadline. Sometimes I like to write in a coffee shop or other public place where I can’t get distracted by the laundry, or other chores that seem critical at the time, but are really just excuses to procrastinate. On the way out I saw this sign in the mall yesterday and had an Army of Darkness moment. 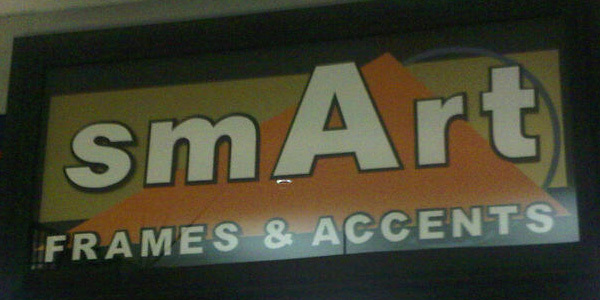 “Shop smart, shop S-Mart.” It was a great geek moment I had to share. Coming full circle is a common idea in books and movies. Beginning and ending a story in the same physical space can help the author illustrate the changes that have taken place in the characters. Think of a place from your past, a summer camp, a school or some other location that was important to you. Pretend you are the character in your story and put yourself back in that location. What changes would be revealed about you in this familiar location? How have you grown since you were last in that place? Aim to write two pages illustrating this change.